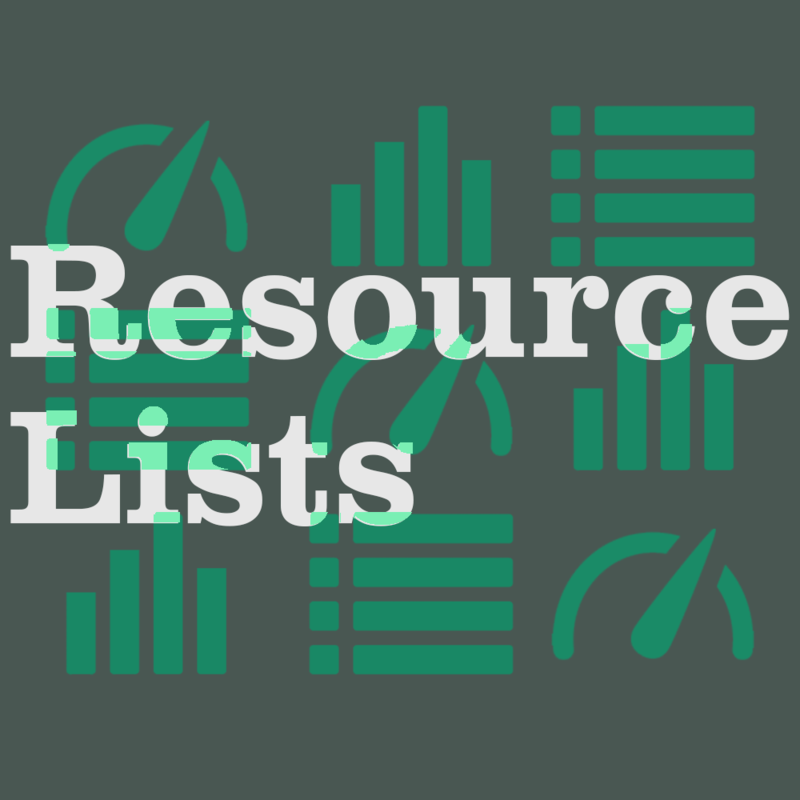 There are fantastic pedagogical reasons for using Resource Lists. It's great for making easily-accessible lists and can also encourage independent learning. 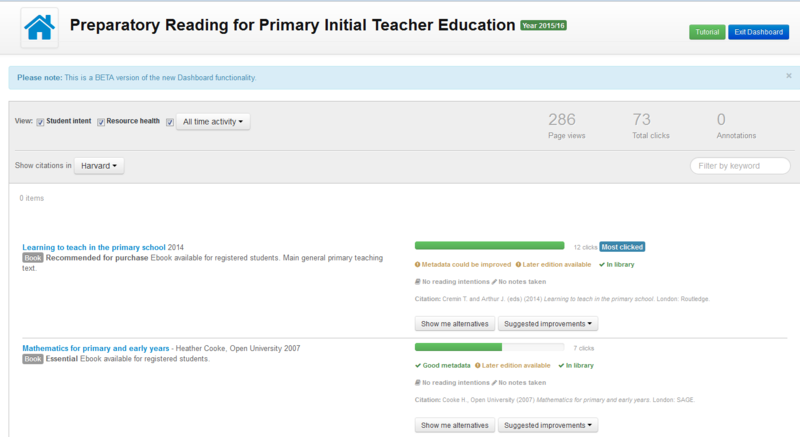 Looking deeply at how your lists are being used can help maximise student learning. Using the dashboard (look for the green dashboard button), you can find out how many people have been accessing your lists and the most popular items. This can help you optimise your lists, giving your students a nudge towards appropriate further reading. Or perhaps you may find that more reminders to read are needed, and it's time to refresh your lists. Resource health refers to an item’s metadata – the information provided by the publisher which contains bibliographic details. You don’t need to worry about this too much, although it is useful to know whether the list has an outdated edition. Poor metadata can also cause the entry in the automatic bibliography generated by Resource Lists to display incorrectly, so please contact your Academic Liaison Librarian for help with editing the metadata. This feature also tells the user whether a book is already in the library. To hide this information, simply untick the box to the left of Resource Health. Student intent monitors whether students are taking notes and planning their reading within their lists. It is another quick way to see if students are engaging with their reading. To hide this information, untick the box to the left of Student Intent. Number of clicks measures how many times an item has been clicked by visitors. A green bar indicates a very popular title, while a red bar means that an item is not being clicked very often. The bar lengths are in proportion to the popularity of other items on the list. This can help you prepare for lectures, as you can then tailor the content to what is already being read or remind students to read a particularly crucial piece. Show me alternatives identifies other texts that might be of interest based on other lists that have the same title. You can use this feature to find new and interesting books.